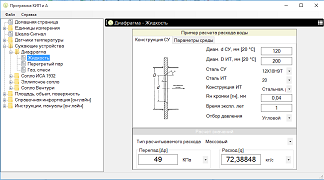 Instrumentation & Automation Application for Windows and Android. The Instrumentation & Automation program is designed for a wide range of users working in the field of metrology, instrumentation and automation, as well as process control systems (automated process control systems). It may also be useful to students of technical universities and specialists of technical specialties. Supported languages: English, Russian, German, French and Spanish. In the future, it is planned to release also for other mobile platforms, and also, the Professional version is being developed. Desktop and mobile versions of the program are absolutely identical in their functional characteristics,- the same menu items, the same functions .. Also, it is possible to preload the selected documentation from the Internet on the device for subsequent work in off-line mode. This allows to use pre-loaded information in places where the Internet is not available. In addition, the Windows Help / Documentation installation file is available for the Windows version. The program will update frequently, including new trends in instrumentation and automation, new instructions to devices, will be improved through direct communication with users of the program. It is also possible to include user documentation in the program, - anyone who wants to have something to say can send their own documentation, developments that will be included in the program. This makes the project truly popular. Special attention is paid to mobile versions. The author of this project has practical experience in instrumentation and automation. In my experience I know how important it is to have the necessary background information in an operational setting. Very often it happens that the necessary information has to be looked for much longer than to fix some malfunction in the system. There would be a computer .. and there is no it .. At the same time, with the development of smartphones (tablets), it became possible to make programs on mobile devices. Thus, implement complex algorithms for computing in a handheld device. The goal of the project is to make a handy, pocket application for those who are somehow connected with instrumentation and automation, metrology and process control systems. The first version of the project is released for Android OS because the vast majority of people use mobile devices on this operating system. Also, the versions for other systems will be developed with the time.